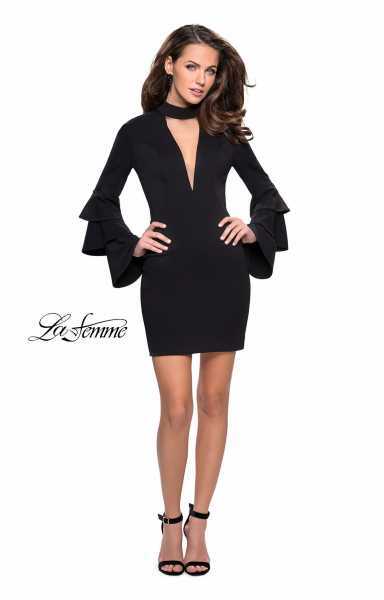 Be confident in this unique and fabulous La Femme 26639 short cocktail dress! 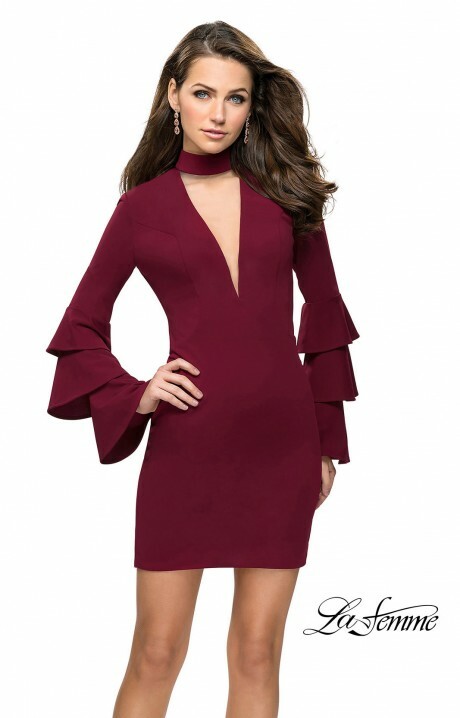 This dress has a choker neckline as well as a plunging V-neck! 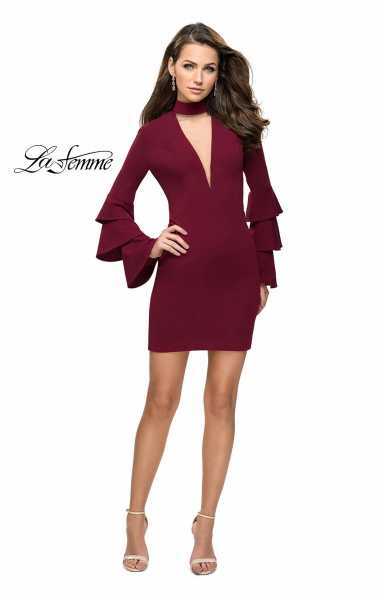 There are long sleeves with interesting ruffle details at the bottom. 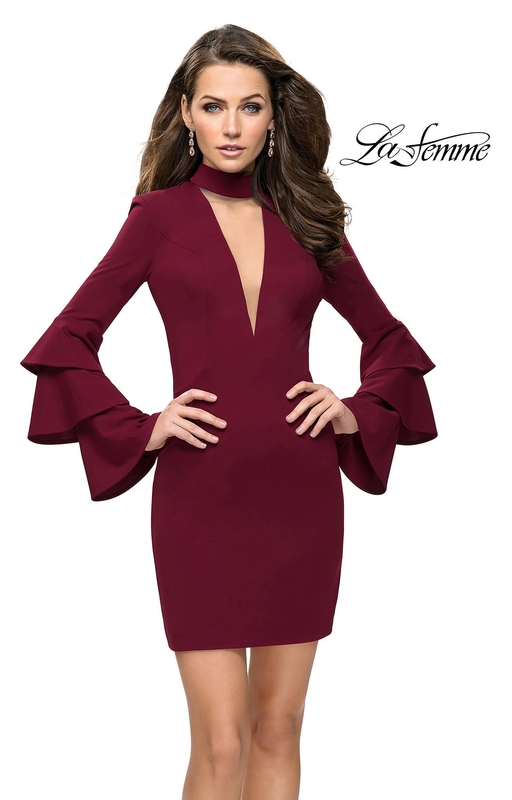 The back is open to show a little bit of skin and this dress is the perfect cocktail length!